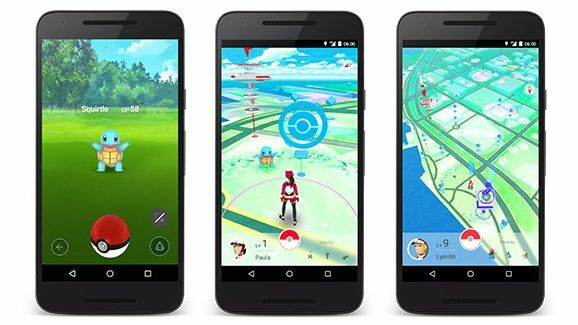 A new limited-time event is due to kick off later today for Pokemon Go that makes filling out certain parts of your Pokedex a little bit easier. Due to go live at 1 pm PDT/4 pm EST/8 pm GMT, the so-called Water Festival will increase the appearance rate of various aquatic critters, including Magikarp, Squirtle, Totodile and their evolutions. In addition, for those that live in close proximity to areas where Water-type Pokemon are more likely to appear, you’ll have an increased chance to encounter those originally found in the Johto region first seen in the Generation 2 games. Summer hasn’t rolled around just yet, but it might be worth taking a trip to the beach if you’re still looking for some specific ‘Mons to complete your collection, especially as Niantic also hints that encounter rates for Lapras, usually considered to be one of the rarer finds in Pokemon Go, will also be raised, so you’ve got every excuse to make the trip. In addition to the above, a new patch rolled out for the mobile title yesterday on iOS and Android that makes a noteworthy change to how bonuses work for visiting PokeStops on a regular basis. One random special evolution item, which are the sole means in which players can evolve the likes of Scyther, Onix and Slowbro, will now be a guaranteed reward for visiting at least one PokeStop for seven days straight. No more praying to the gods of luck that your next visit will award that King’s Rock you’ve spent the last few months looking for. The Water Festival event is due to end on March 29, so don’t dawdle – you’ve only got a week to find everything you’re looking for!